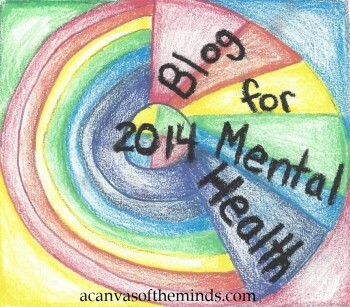 ← Mental Illness Issue? Make Your Politicians Accountable! I went to a show last night where a famous golfer told his story. His presentation was very entertaining, engaging, and funny. There were over 800 people in attendance. The golfer had a very successful career that included more than 3 million dollars in prize money. I share something in common with this golfer because I once was a golfer. In fact, I was the first girl who played on our high school golf team. However, the reason I was at last night’s event was because I was trying to raise awareness of an event I am organizing in my community called Embrace Life Day. 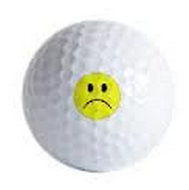 I like, this golfer am diagnosed with bipolar disorder. I also am not silent about it. In fact, I am known as Bipolar Bandit on most social media sites with my picture attached. The event that the golfer spoke at was to raise money for a non-profit organization that helps people with mental illness get the resources they need. A lot of money was raised for this organization and I was very happy for them. Their services provide a lot of services for those suffering from mental illnesses or know someone who does. Because of the openness of the golfer’s story, I hope that the majority of the people in the audience learned something about mental illness because they attended the event. As I previously stated, I had a table set up set up with some literature about mental illness and fliers about Embrace Life Day. Embrace Life Day is during Mental Illness Awareness Week and will be a free community event with free food entertainment,activities for children, exhibitors, and demonstrators all with the goal of how people can lead a healthy life including hope and recovery related to mental illness. Embrace Life Day that is part of Mental Illness Awareness Week. Our website is embracelifeday,wordpress.com if you want more information. The table I was at was almost impossible to walk by without noticing it. Only a few stopped by, a few picked up materials, but only two people asked me any questions. I can kind of understand that. I don’t know their motives, but have to wonder if it had to do with stigma and how they did not want to associate with anything that happened to do with mental illness. I am sure for some, it was simply because they were there to see the famous golfer. Even though he talked about his struggle with mental illness, the attendees still didn’t want to know anything about what 25% of Americans who deal with a mental illness every day. Before the event, the sponsors had a special reception on the 10th floor where they got to meet the golfer and enjoy food and drinks. They deserve this special treatment and I totally understand that. After everyone was sitting, I left the booth I was running to go hear some of the introductory remarks. This was what the night was about and you would think that the sponsors would want to hear about it. I came back to the booth I was manning with the literature about my event and mental illnesses to find glasses filled with drinks of all kinds on the table These glasses were left by the sponsors who just came from the 10th floor. The majority of my materials were soaked and had to be thrown away. Since we were working with limited funds, that was significant especially knowing that the people who destroyed them, could have helped our cause out as well as the one that was happening that night. Do you know why they didn’t? I have my suspicions and I am sure you do too. They don’t care about the people who struggle with mental illness every day, they don’t want to learn more about it, they didn’t go to that event to support the efforts to raise awareness and erase stigma. They went there to get their name on the back of the program and to meet a celebrity. I kept quiet about all of this. I just packed up the materials that weren’t damaged and left when all the other volunteers did. As I reflected on that night, I was frustrated and even a little angry. In writing this article, I have found myself in tears. I have to hope that there were some people in that room that were touched by the golfer’s message and I hope that they will seek out help. I also have to hope that his message helped efforts to end the stigma attached to mental illness like so many other people with influence have been trying to do. I have struggled with bipolar disorder, and have been an advocate for almost that long. My hope is that someday I, along with others who have a disease of the brain or a chemical imbalance in their brain are no longer called freaks or crazy or made to feel ashamed because they have a mental illness that they were born with. Something that should not be treated any differently than diseases of the kidney, thyroid, heart, or liver. This entry was posted in Uncategorized and tagged alcoholism, bipolar disorder, cbs, cbs golf, david feherty, depresion, Embrace Life Day, Forsyth County, golf, Ireland, mental health, mental health association, mental illness, The Power of Positive Idiocy, winston salem journal. Bookmark the permalink. I can’t help but think it sounds like the people that were messing up your table–or even more, some of the sponsors–were just there to lend their name to a cause. They probably think less of and turn their nose up at people with mental health issues. Quite unfortunate, since they are the ones that needed to hear the message the most.